Writing and self-publishing a book can feel BIG and OVERWHELMING can’t it. That’s why 95% of people never get that idea out of their head and into a book. There are over a million books on Amazon that people have written and published. Regular people just like you and me are behind those books. You don’t have to be a great writer, you don’t have to be a super master expert on a subject, and you don’t have to have a fully fleshed out idea to get started. The key is to have a system to break down the process in actionable steps – wherever it is that you’re starting. 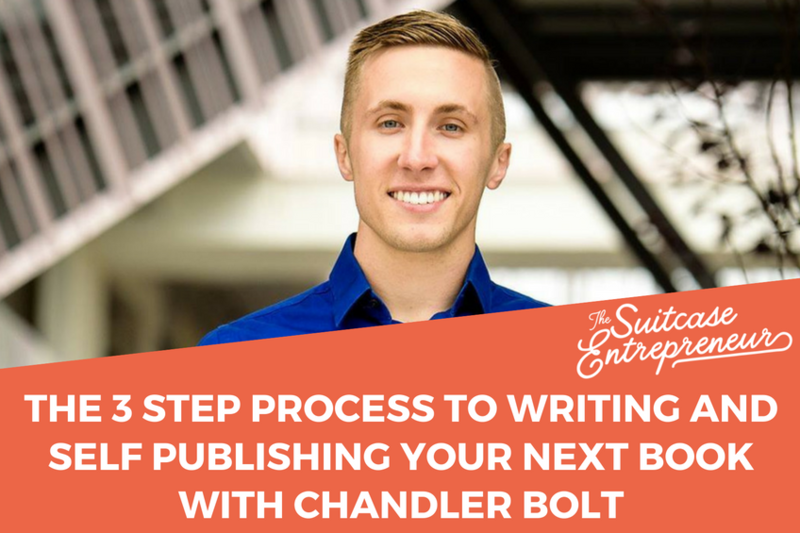 Chandler Bolt is has the self-publishing process dialed in. He’s a five–time best–selling author and helps others plan and write books as well. In today’s podcast episode, Chandler and I talk about everything from limiting beliefs to his three step writing process. We chat about success and failure, and accountability and doing more of what works. Get Chandler’s 6th book “Published.” for free! Come join me to Write your damn book in 3 months or less (and come behind the scenes of me writing mine)! If you’ve been waiting for a chance to get started, then this is it. I’m going to give you a real, raw, uncensored glimpse into the craziness that goes on behind the scenes of any book writing project, plus the accountability and support to write your own damn book!